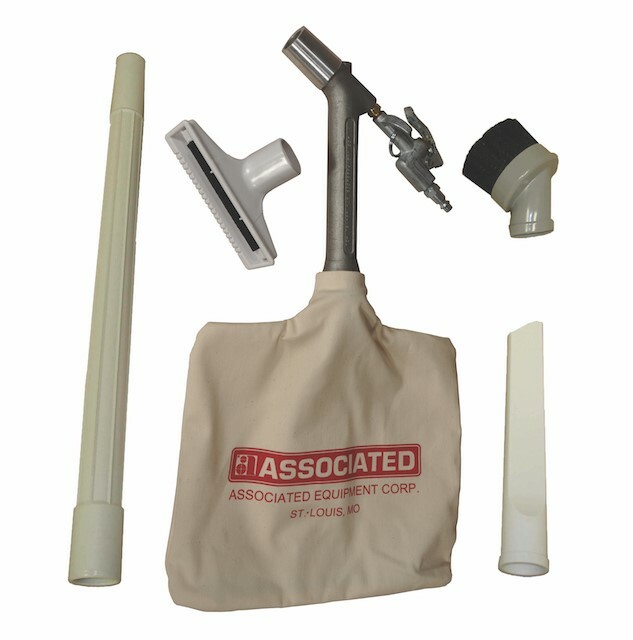 AF80201 | Associated Equipment Corp.
Converts compressed air to vacuum power via an internal Venturi, making it convenient to use wherever compressed air is available. Optimum operation is 95-115 psi. No electricity required to operate tool. Wide-mouthed nozzle accommodates pick-up of large and odd shape material such as screws, washers,nuts, chips and more. Trigger is ergonomic and designed for operator convenience and comfort. Easy to use trigger allows for hand feathering and locked-on operations. Large collection bag is made of breathable cotton which ensures steady suction power. 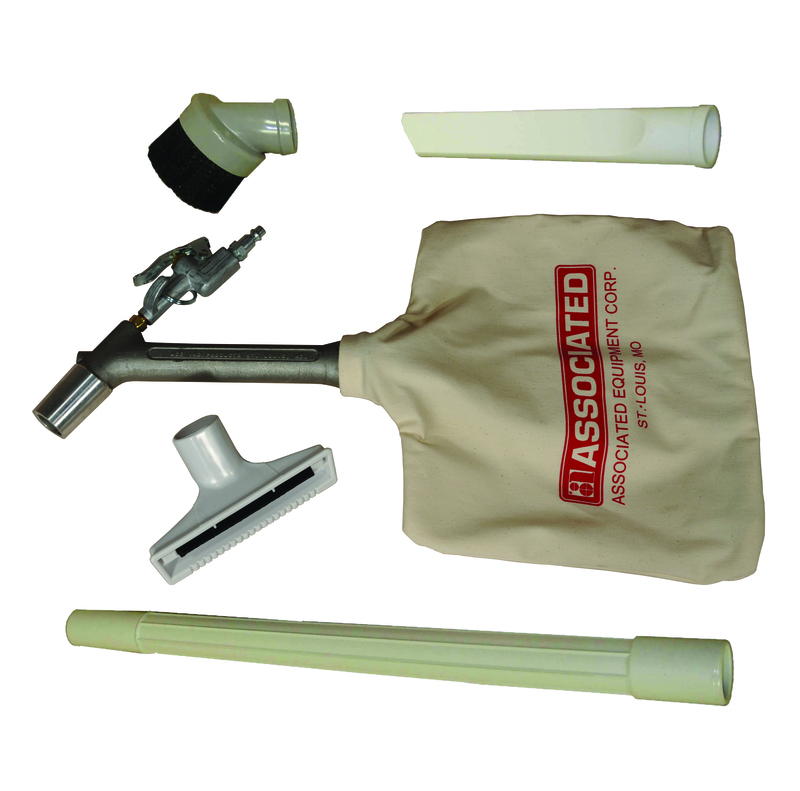 Bag’s sturdy zipper facilitates quick and convenient disposal of collected material. Economical, long-life and virtually maintenance free operation guarantees substantial operating costsavings over the life of the tool.